Below you fill find all funeral homes and cemeteries in or near Red Lodge. Suburbs of Red Lodge: Luther. 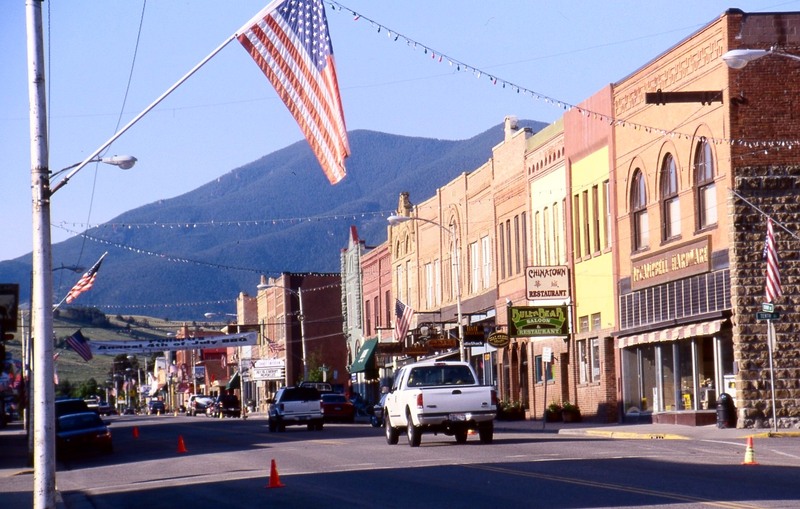 Red Lodge is also known as: Carbon County / Red Lodge city. Zip codes in the city: 59068. Carbon County funeral flowers can be purchased from one of the local funeral shops we partner with. Some of the notable people born here have been: (laurie niemi), (harry franklin vickers), (alice greenough orr), and (edith bullock). Red Lodge is a city in and the county seat of Carbon County, Montana, United States. It is part of the Billings Metropolitan Statistical Area. The population was 2,125 at the United States Census, 2010. It was written on February 13th, 2019 that John Paul Pope died in Red Lodge, Montana. Pope was 84 years old and was born in Hill City, MN. Send flowers to share your condolences and honor John Paul's life. It was revealed on September 30th, 2018 that Alan R Kiskila perished in Red Lodge, Montana. Kiskila was 64 years old and was born in Hartford, CT. Send flowers to share your condolences and honor Alan R's life. It was revealed on July 24th, 2018 that Evelyn E Jackson (McClelland) perished in West Bend, Wisconsin. Ms. Jackson was 92 years old and was born in Red Lodge, MT. Send flowers to express your sympathy and honor Evelyn E's life. It was reported by Orange County Register on February 11th, 2018 that Marilynn L Hobbs died in California. Hobbs was 76 years old and was born in Red Lodge, MT. Send flowers to share your condolences and honor Marilynn L's life. It was noted by Waterloo/Cedar Falls Courier on June 5th, 2016 that Kathryn Mary Bruner (Sulentic) perished in Cedar Falls, Iowa. Ms. Bruner was 90 years old and was born in Red Lodge, MT. Send flowers to express your sorrow and honor Kathryn Mary's life. It was reported by Flint Journal on February 18th, 2016 that Dorothy Ruth "Dottie" Ecker (Smith) passed away in Red Lodge, Montana. Ms. Ecker was 90 years old and was born in Jonesboro, AR. Send flowers to express your sympathy and honor Dorothy Ruth "Dottie"'s life. It was written by Modesto Bee on August 26th, 2015 that Connie Vanscyoc (Zuber) passed on in Walnut Creek, California. Ms. Vanscyoc was 72 years old and was born in Red Lodge, MT. Send flowers to express your sympathy and honor Connie's life. It was reported by St Francis Herald on August 20th, 2015 that Clarence Arthur Roberson passed on in St Francis, Kansas. Roberson was 95 years old and was born in Red Lodge, MT. Send flowers to express your sorrow and honor Clarence Arthur's life. It was written by Deseret News on May 25th, 2015 that Allan M Larm passed on in West Jordan, Utah. Larm was 78 years old and was born in Red Lodge, MT. Send flowers to share your condolences and honor Allan M's life. It was reported by The News Tribune on May 10th, 2015 that Georginia D Camp died in Tacoma, Washington. Camp was 97 years old and was born in Red Lodge, MT. Send flowers to express your sympathy and honor Georginia D's life. This was especially important because the Northern Pacific Railroad needed coal to fuel their steam engines. The population was 2,177 at the United States Census, 2000 census. Red Lodge first achieved importance with the discovery of coal in the middle of the 19th century. In 1896, Red Lodge had twenty saloons and, as the library records show, riotous and violent living was characteristic of the town. By the mid 1880s, migrants were still outnumbered by large numbers of Native Americans in the United States Americans. Red Lodge suffered in the Great Depression, which forced many mines to close. The official website for the city of Red Lodge is http://cityofredlodge.net/. A special thank you to the Red Lodge Clinic Doctors and ... Oct. 28, at Smith Funeral Chapel-Laurel. Memorials may be made to: LaCuesta Rebekah Lodge No.56, PO Box 265, Joliet, MT 59041. Norman loved boating in his Red Fish ski boat ... 30 to 8 p.m. at Friemonth-Freese Funeral Home. Visitation will also be held 1 hour prior to the service on Friday. Burial with military honors will be at Mt. Pleasant Cemetery in New Franklin. Find a Funeral Home inRed Lodge, Montana MT to provide the caring burial and ceremonial services your family deserves. The finest roses, gifts and Mother's Day flowers delivered fresh. Serving Red Lodge, Montana, surrounding suburbs and the entire country. We work with local florists and flower shops to offer same day delivery. You will find budget sympathy flowers in Red Lodge here. Our funeral flowers are cheap in price but not in value.